Find here the unique oil paintings by the painter Rose Agathe Steiner. The famous series THE WALKING DEAD on a design oil painting canvas ! The dimensions of this abstract oil painting are 81X100 cm. 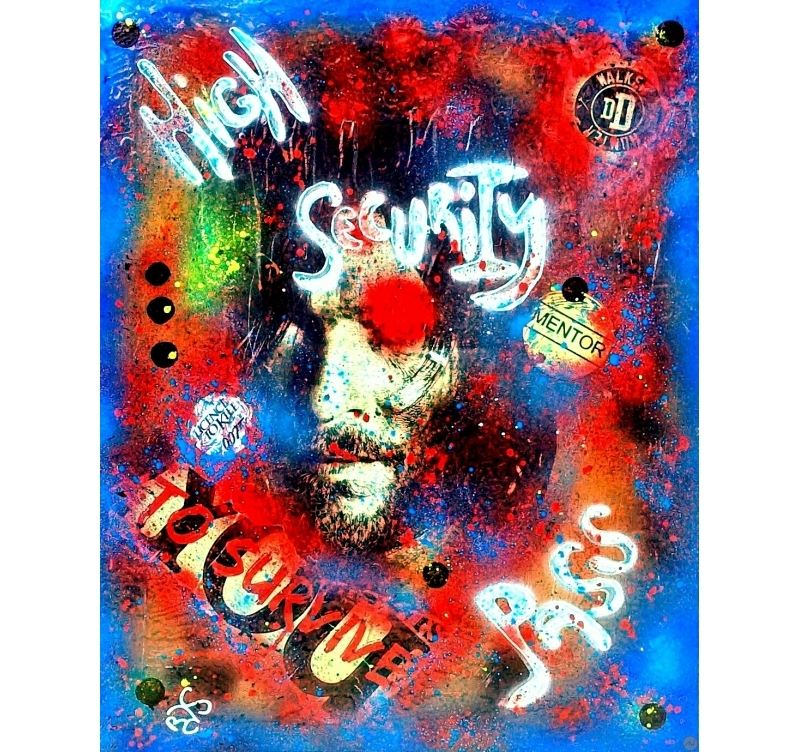 This pop art oil painting is delivered with its certificate of authenticity and you can pay in three instalments, interest free. 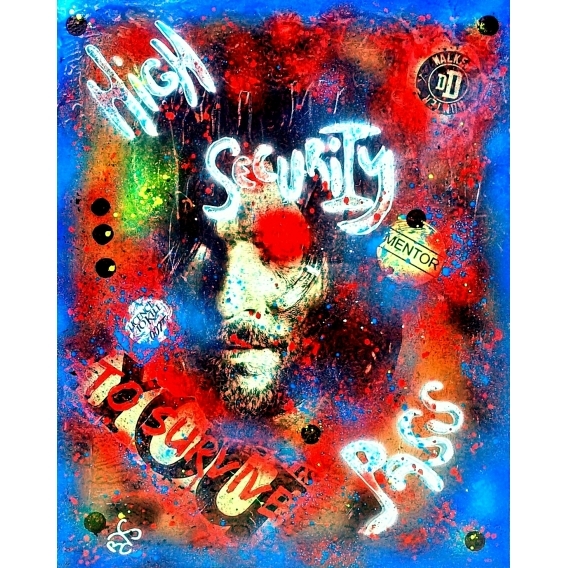 This street art oil painting on linen frame was created via a mixed technique: acrylic paint, aerosol and Indian ink. This resin visual inspired from the world famous series The Walking Dead will take you into the artist’s coloured world. The contemporary oil painting is covered with an epoxy-like coat spread on about 85%. The delivery is secured on our online gallery for this decorative painting numbered by the artist herself. This abstract painting has been created in one copy only.